You might ask why I decided to produce letsgoloco, to help others like myself who for over 40 years has followed a railway fanatic around the country. Going to preserved railways, museums or that model shop that he wanted to search out in the town we were visiting, usually on holiday and never quite finding it ! Coal Sacks spring to mind! Unfortunately due to ill health hubby has no energy to exert himself, but this site is giving him some great pleasure, he is spending everyday now looking at what he loves the most, well hopefully not more than me, the children and grandchildren, everything to do with railways, modelling or the real thing. 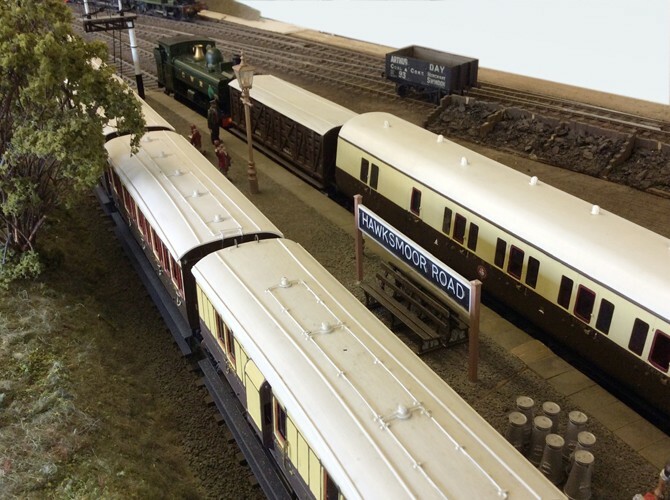 He has always had a great eye for detail and loves modelling, as you will see from some of the articles that he has added to the site. Over the past few years he as built a garden railway . Why not take a look at this video? I didn’t want this site to be just about him, but for all budding writers to send me articles to publish, you will find out more about what we will accept in the advertising section of the site. You can also have your own contributor section. There is also the opportunity to send pictures or videos to add to our galleries so at last you share them rather than being hidden away. I want to make letsgoloco the largest directory for everything to do with railways and the benefit of this one is that you can add information about your company, products, contacts and direction details. Depending on the level of membership you can add any promotions you have and it can all be done via your own pages, so you have control on what is seen. (Please note however that all submissions are approved prior to final publication). For more information take a look at the advertising page. Do you have an event coming up well why not add it to our events section? I will be introducing a forum in January 2015 where you can get help, support and ask any questions about issues you might have or discuss anything like minded railway fans want to chat about . I will be introducing a market place in Quarter 1 2015 where you can sell anything you want to part with, more about this later.